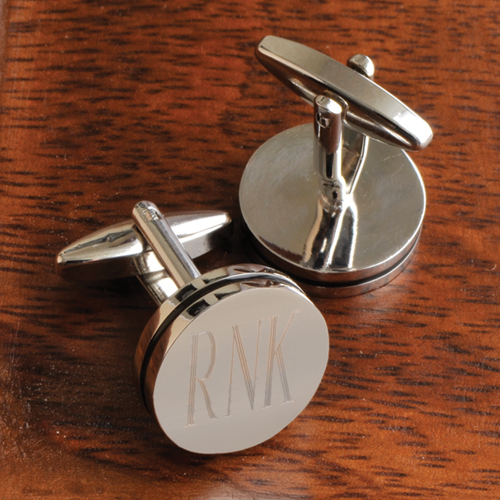 DETAILS: Classy is the name of the game with our handsome personalized Pin Stripe Cufflinks. These engraved, round silver-toned cufflinks include a thin black inset stripe around the perimeter and a classic shank design. SIZE: Measures 5/8" (diameter) by 1" in length. PERSONALIZATION: Personalize with three initials.